James Ira Sparks, 75, of Tulsa, OK, died Tuesday, September 4, 2018, at St. John Medical Center in Tulsa. A son of Ira and Dixie Lee (Ross) Sparks, he was born September 16, 1942, in Russellville. 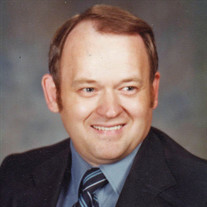 He graduated in 1964 with a Bachelor's Degree from Arkansas Tech University, completed his Master's Degree from University of Arkansas at Fayetteville, and finished his advanced education at the University of Missouri at Rolla. He taught during the 1960s at the University of Memphis, before eventually settling as a math & computer programming instructor at East Central High School in Tulsa. He enjoyed old western movies, music, history, and sports. James was preceded in death by his parents, and a nephew, Steven Sparks. He is survived by his brother, Dr. Billie Earl Sparks and sister-in-law, Dr. Rita Kisting Sparks of Eau Claire, Wisconsin; a niece, Stacy Elizabeth Sparks (Kevin Brady) of Washington, DC; and a grand nephew, Declan Brady of Washington, DC. A graveside service will be held at 10:00AM, Monday, September 10, 2018, at Oakland Cemetery in Russellville. Tony Sparks will officiate. Burial will be at Oakland Cemetery in Russellville, by Humphrey Funeral Service. Internet obituary and on-line guest book are available at www.humphreyfuneral.com.